Dr. Jeffrey J. Betman and Associates (Chicago) - Book Appointment Online! 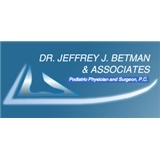 Dr. Jeffrey J. Betman, Podiatric Physician and Surgeon, PC, specializes in gentle foot and ankle care for the entire family. We have been serving the Chicagoland area for over 20 years. Our board-certified professionals successfully treat numerous foot and ankle conditions and disorders including bunions, hammertoes, ingrown toenails, heel and arch pain, ankle sprains, fractures, work-related injuries and much more. Most same-day surgeries are performed in our cost-effective state-of-the-art Joint Commission (JCAHO) accredited surgical suites with your comfort and convenience in mind. We are proud to announce that the newest and most technologically advanced LASER treatment of fungus toenails is now available at our Belmont Avenue and Chicago Avenue locations! He was a very charismatic doctor. He told me everything I needed to know and eased me into the procedure. I was so scared of it being painful and without me expressing it he knew so he held a conversation with me to make me more comfortable.